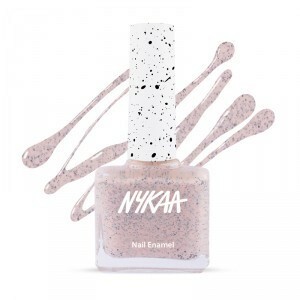 If you are also a huge fan of Nykaa Nail Polish and want Nykaa nail enamel then go through this review of Nykaa nail polish and decide after that. Today, Nail color has become one of the most wonderful accessories for girls to rock every day. They love to apply nail polish on their nails because it enhances the beauty of hands. Even every girl definitely use nail paint in her life at once. There are huge numbers of big Indian brands and foreign brands of high quality available in the market to serve them. But, only a few of them fill their expectations. Well, Nykaa is one of the most famous and trustable brands among these. It has become so much popular for cosmetics products that every girl wants to buy products of Nykaa. Nykaa Nail polish has become the trend now due to its fine, formulations and awesome quality colors. It keeps releasing new colors in the market according to seasons and market demand. So, if you are also a huge fan of Nykaa Nail Polish and want Nykaa nail enamel review before purchasing then what are you waiting for now. Stop whatever you are doing and just scroll down this page slowly, read this article completely. We have shared Nykaa nail polish review with amazing pictures which will definitely help you to understand. If you are Indian then you must try dusky azalea shade. This comes in floral collections means those girls who love floral colors then this color is made for you. This color will felt you like the whole bouquet of fresh spring has come on your tips. This nail paint is ideal for spring and autumn seasons. It is so pretty, elegant, light pink shade that will suit every Indian skin tones. In summer, all want light colors instead of loud due to the heavy and sophisticated atmosphere. This color is so light that it will keep your mind and mood cool and will provide peace also. This ocean mist color will remind you of the beach and also helps in rocking the nail colors in pastels for the sophisticated, girlie girl. And don’t forget that this will look amazing on all skin tones. Those who love peppermint, we are definitely sure that they will also love this for sure. Peppermint-ini is one of best color from the pastel enamel collection. This pretty color will help you rock in the summer heat as well as in the cool atmosphere of the spring season. This is informing to all buyers of Nykaa matte nail enamel that there are more than 40 shades off shades including in pastel collection and all are looks delicious. The Blackcurrant gelato is one of them which is the most beautiful color like blackcurrant ice cream shade to rock in the heat of summers. It is very simple, unique as well as awesome color will suit on all skin type. If you want any professional as well as an occasional color then this will definitely work for you. Nutcracker Dreams is such as beautiful, classic and smoothly blend of the pink and brown shade. You may wear this color every day like for school, college or office. Don’t worry about skin tone matching because it will go with every skin tone. 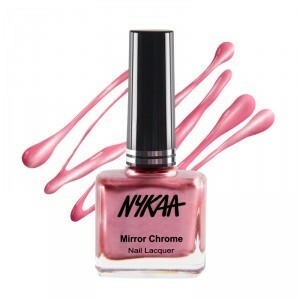 Nykaa Pop Nail Enamel Shade is a long-lasting and shiny. This color is made for them who don’t consume their more time to apply nail paints, just apply one coat and you are done. This watermelon sorbet is so vibrant and intense a good treat for all red lovers. It has a huge collection of fun and vibrant colors that will suit on skin types. Match tiramisu is made for all matte lovers who need sophisticated vibes. This collection has all wide range of amazing matte shades which are gorgeous and unique as well as suiting all skin tone. This color is a dirty matte shade that gives you rough look. This pretty pinkish color will help you to rock any night party. The cookie crumbles collection is perfect for girlish girls who love nail art because it lacquers loaded with matte black pigments. It looks like to wear tempting crushed cookies on your tips after applying. The finishing of this shade is too amazing and fun. Girls who don’t want to sit in front of a fan to dry their nail paint; this collection has made for them. This formula is designed to air dry quickly on its own and it is long lasting due to its cheap resisting formula. It has gel quality that pretends pro – UV gel formula. Vegas road trip is dark purple shade which is cheap, beautiful and you may wear this on any occasion or for special moments. This colors mostly falls in the spring and winter season. This Nykaa mirror chrome collection has also a huge range of amazing shades from which copper age is one of them. This is unique, awesome and gives dry finishing to your nails. It has pretty mirror shine finishing which will also go with all skin tone. These collections for high town girls who don’t like wear chunky gold color, and then they may choose this shade. Champagne gold shade gives you high - class look and glamour look. It will give you feeling of wearing gold on nails. If you are going to attend any marriage or big occasion then this shade is absolutely perfect to rock wedding season. Dear visitors, this is all about Nykaa matte nail polish review in this article. We hope that you have liked it. Leave your comments at below section of this page and you may also share this article with your friends, colleagues and many more. Thank you for visiting our website.